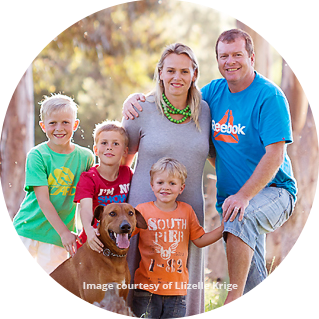 Liesl Basson is an established professional photographer based in Tulbagh, Western Cape and has been in the industry for 9 years. She specialises in weddings, loves engagement and offers lifestyle type of family and maternity photography. “I am a loving mother of 3 boys and devout wife, passionate about capturing those unforgettable moments on camera. I love telling stories through my photography. My services are not only limited to the Western Cape and its surrounds, travelling forms a huge part of my career, recently visiting places such as Tulbagh, Robertson, Langebaan, Calvinia, Stellenbosch, Franschhoek, Paarl and Cape Town. At a location of your choice, I will be there to capture those unrepeatable moments in life. The photographs I take will be more than just photos. They will be works of art, filled with love, joy and excitement created by your special moments. I am inspired by your works, always following what your latest photos looks like. Since my cousins wedding , Glen & Emelda, after seeing you and your assistent in action, Ive decided to do photography professionally and since making that decision and investing in my business, and with God’s help, I’ve made a success thus far of my photography business. I descovered that I have a love and a passion for photography, that’s why Im good at what I do. I’m always doing research of how I can do things beter and I want to invest more and more in my business so that I can do it full time and have my own studio and printing shop. Keep up the good work your doing, I must say you are very good and I strive to become as good as you.